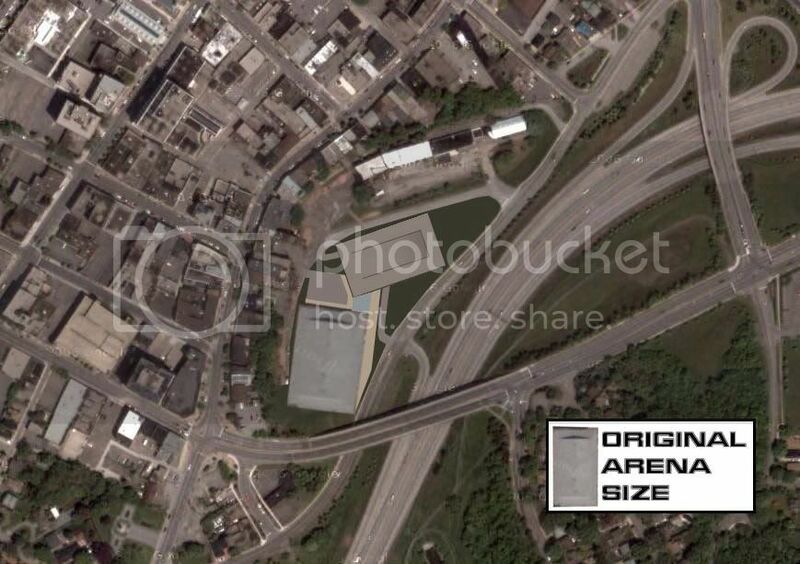 the NEW ARENA talk thread - Page 11 - Niagara IceDogs Fan Forum ! *ALTHOUGH* I kind of like a huge "standing room" area, maybe in rows but with no seats - kinda like how football stadiums (er, soccer) have there 'terraces' where all the loudest of fans go so they can walk around and mingle with friends and move around a bit. That way people who bring in big flags and drums and that nots have room to stand with it. Terraces, they're not just for football! Last edited by Alex; 04-11-2008 at 06:35 PM. nice design may have to fix the road it look to close the building. The lower lot would be a GREAT place for it, because it would leave the current arena to play in while being built, it's right off the highway, and it would get rid of that EYESORE of a downtown we have with the backs of all those old buildings. But somebody said they'd have to do a big soil replacement there because the ground's all contaminated underneath. Which doesn't seem like a big problem anyway because they're probably going to be digging down 20 feet into the ground to place the foundation of the place anyway. What is the ground contaminated from, what use to be there? I LOVe how the Euros do a lot of their rinks, with the seating rising up farther each row and not far BACK as much. I think it brings the fans right on top of the ice and gives a great atmosphere that way!